Rock Dog in Movie Theaters on February 24th! 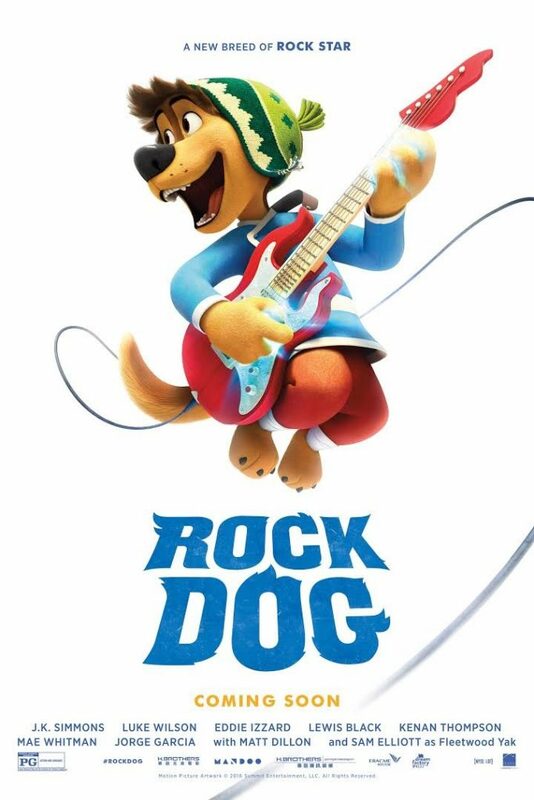 : Special #RockDog Giveaway Opportunity! You are here: Home / Giveaways / Rock Dog in Movie Theaters on February 24th! Rock Dog in Movie Theaters on February 24th! Special #RockDog Giveaway Opportunity! We have teamed up for a fun Movie Promo Giveaway! One winner will win the following: tambourine, kid’s beanie, temporary tattoos, and screening passes to see the film once it’s released in theaters. To enter, watch the trailer above and tell us why you would love to see the movie! Deadline to enter is January 20th, 2017 at noon PST. One winner will randomly be selected via Random.org. Self Disclosure: SoCal City Kids has teamed up with Lionsgate for this special giveaway opportunity and will select the winner. Photo was provided. My boys would love this. They are animal especially dog and cat obsessed. Animals in animation are their fave! Would really like to hear the music in this movie. I love movies about dreaming BiG! This will inspire my babies to do just that! It looks like a very hip, fun movie. my kids would enjoy it!! and me of course, in a fan of animated movies. Our family is into music, and this seems like the perfect movie, with the underdog, pun intended, going out to conquer his dreams!